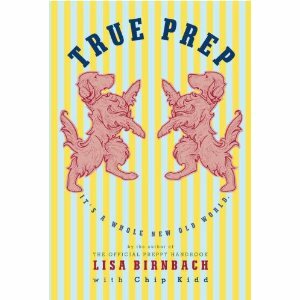 After reading all the True Prep posts for months, Lisa Birnbach finally made it to Miami tonight! She showed up to Books & Books right on time and as soon as she walked in the room, she started talking to everyone like she knew them..it was so funny and a great way to start the True Prep party. There were some die hards in the crowd, lots of preppy outfits, some authentic, some forced looking, but all festive in spirit..I sat in the front row right in the center, something I would have NEVER done in school. There was a lady sitting right next to me that came with her very preppy terrier named Tippy. Lisa wove Tippy and the fact that it wouldn’t be a preppy event if there wasn’t a dog present, in several of her funny stories, unfortunately, Tippy was in serious need of a bath and I am sure I had a horrible look on my face half the time Lisa was talking. 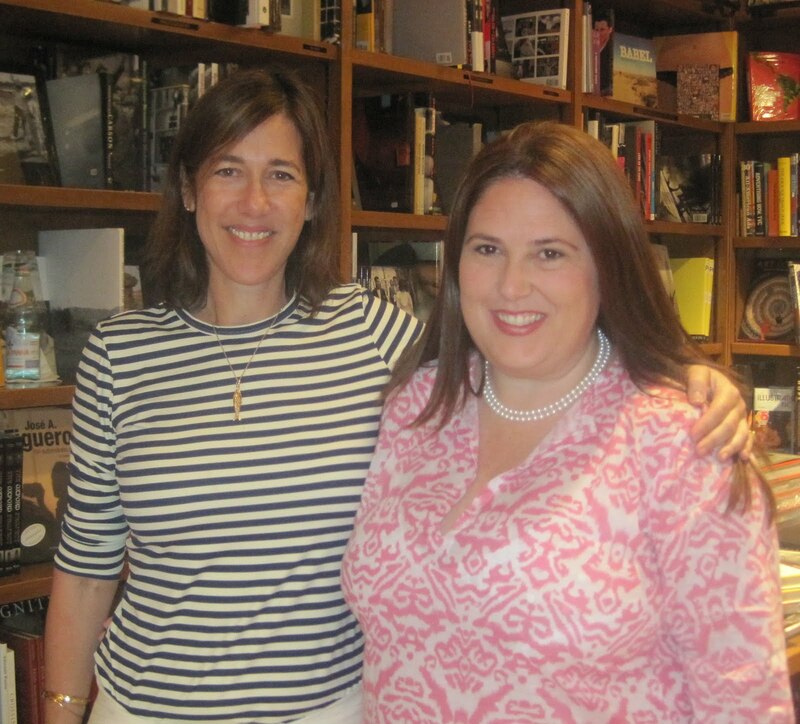 When she started signing the books, I got in the line and waited my turn. She managed to strike up a conversation with everyone in line and they all left with huge smiles on their faces. She certainly knows how to work a crowd. 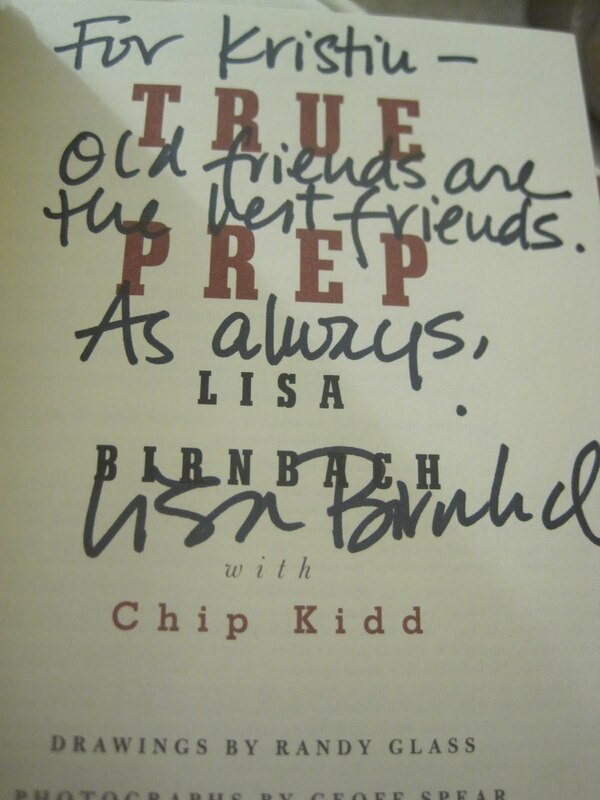 When it was my turn, I handed her my old copy of The Official Preppy Handbook and my new True Prep. She remembered meeting me several years ago and was so nice. One side note…I noticed there was no beautiful Verdura bracelet watch dangling off her wrist. But..when I left she had a beautiful kp green crystal bracelet mixed with her preppy gold bangles!!! Love her!! You can’t miss the amazing gold beehive Verdura bracelet watch dangling off Lisa Birnbach’s wrist at all of her appearances. It is so beautiful and every time I see her wear it, I fall in love even more. I can only imagine what the price tag says, it isn’t online..you have to call and inquire. 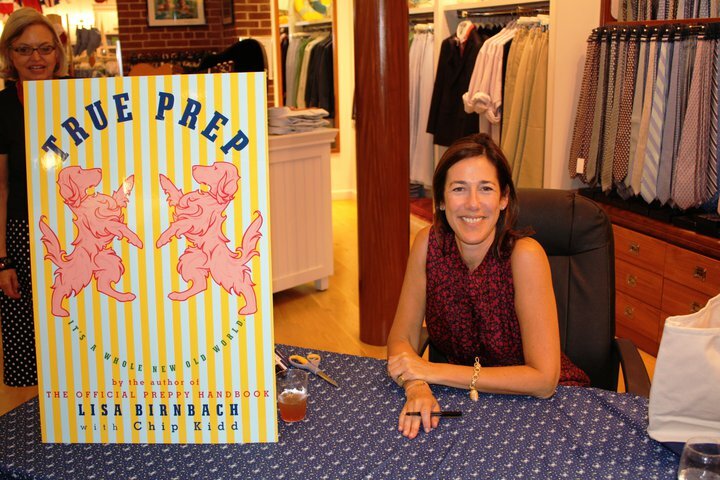 The True Prep tour doesn’t hit South Florida until the end of November/early December, so I have a while to go. Hopefully, my crazy work schedule won’t hold me up and I will get to one of the events. Can you imagine being on the road for such a long time??? I would have to have a portable TIVO player with me, or a new iPad so I could watch all of my shows! Well, for all those anxiously waiting for True Prep to be released, this is the day! I don’t remember ever waiting around for a book to arrive like this one. When I first heard about it, I was really surprised that a sequel would ever be written. 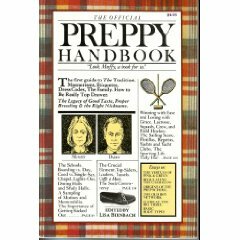 My original The Official Preppy Handbook has faithfully sat on my bookshelf since I was a teenager. It is in pretty good shape except that it needs to be re-bound because the pages are slightly falling out. 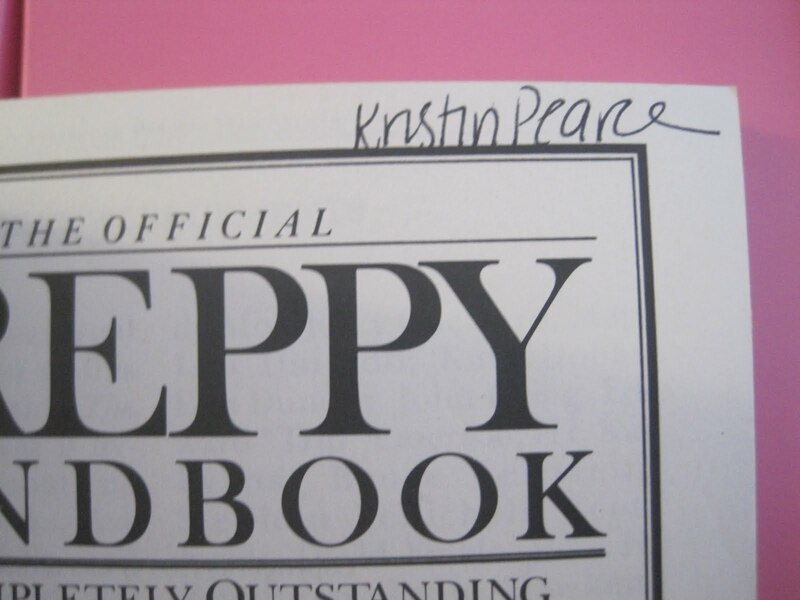 I love that I wrote my name in the book, just in case…not that I would have lent it out. Always loved the name Honor from this little quiz..until a certain Jessica Alba named her little girl that..scratch that one off my list! Nicknames..I always wanted a cute nickname like Bootsy or Bitsy, but growing up, all I got was Kris and Toodles from my Dad..not on the list. In high school, KP started and that has stuck around for a long time. At Tiffany & Co., I told my co-workers who are now 2 of my best friends how my Grandmother called me Krissy..since that day in 2001, I have been Krissy to both of them. One of them lives in Newport, so when I met her friends, they thought my name was Krissy. Hilarious. 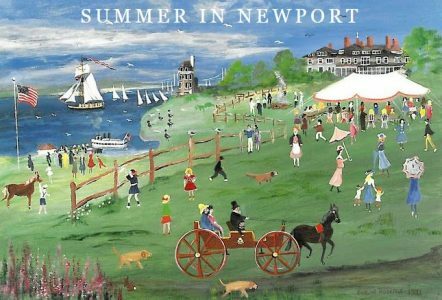 These days in Newport, a long story, but I am Muffy now, so I finally got one on the list-approved! 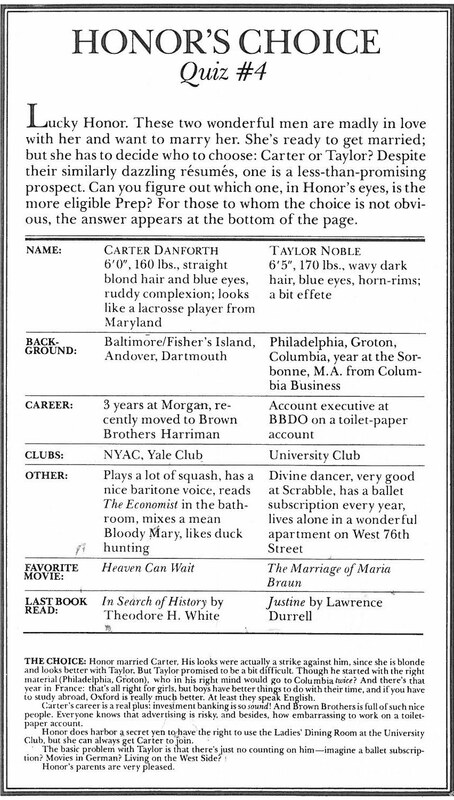 Looking back, I did take this book a little too seriously. 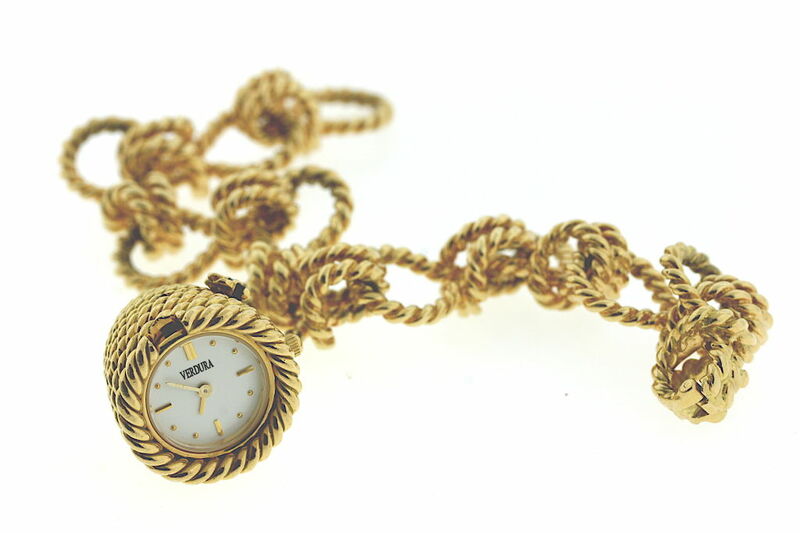 I made sure I had my add-a-bead gold necklace, signet ring and other appropriate preppy accessories on at all times. My wardrobe was a perpetual string of polo shirts and khaki shorts with penny loafers. I did go astray for a little bit in junior high school, but that post will be later this week!!! Never say never..when I had the pleasure of meeting Lisa Birnbach in 1994, the first thing out of my mouth was the inevitable question of when this sequel would come out. At the time, her answer was a resounding no..but times certainly have changed and there definitely a need for an update. Thank goodness! While digging through “my archives” as I call them, I have found lots of fun things tucked away. One that seems particularly relevant now is below. After college, I worked as the President’s assistant at an Arts Foundation. The couple who founded it were very influential people and had a host of famous friends that would come to events and performance showcases. 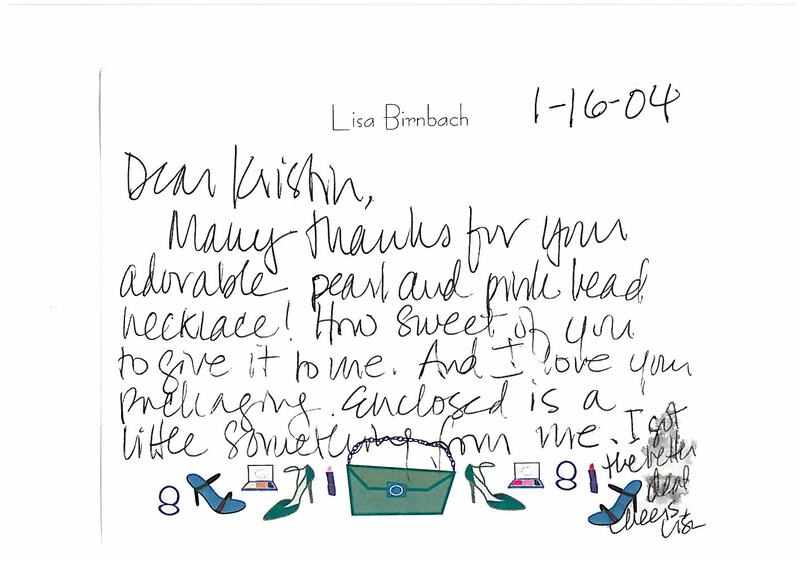 One guest list I was proof reading had the name Lisa Birnbach on it. 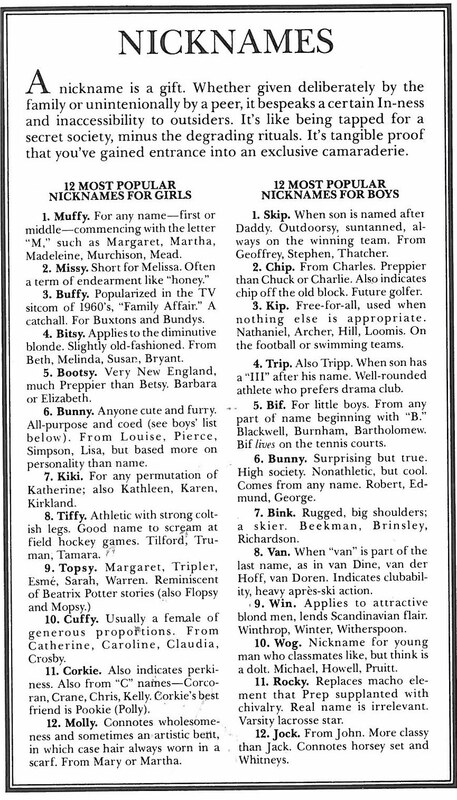 You can’t imagine how shocked I was, there listed among many celebrity names was the author of The Official Preppy Handbook. I showed a this to a co-worker-so unprofessional-and I remember her asking me “the official what?? ?” Is she kidding??? 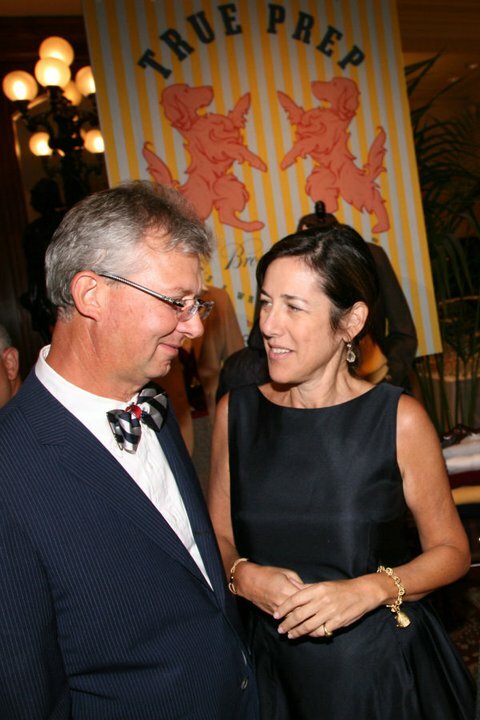 Many years later, I was at a performance sitting with my Mother and low and behold, the benefactor of the Foundation walked in with Lisa Birnbach. I couldn’t believe it! I introduced myself and she was super nice, told her I loved her book and her getting-in-to-college guides and then asked her the question that I am sure she is asked twenty times a day- “when are you going to write a follow-up book”. She laughed and said she didn’t think she could top the original. The next night she was there again. I gave her a couple of necklaces from my new collection-my business was very new at the time. She was very sweet and put them right on. What a stamp of approval to have the queen of all preppiness wearing my jewels! She emailed me to get my address and a week later, a sweet package came in the mail. 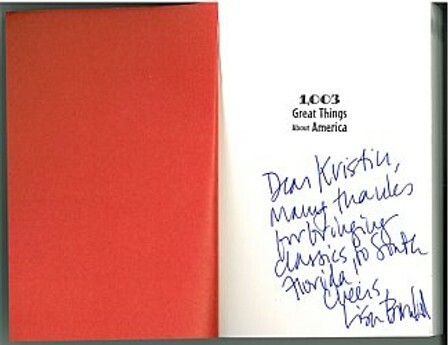 She sent me a copy of her new book 1,003 Great Things About America with a sweet note. I remember being on a high for at least a week!